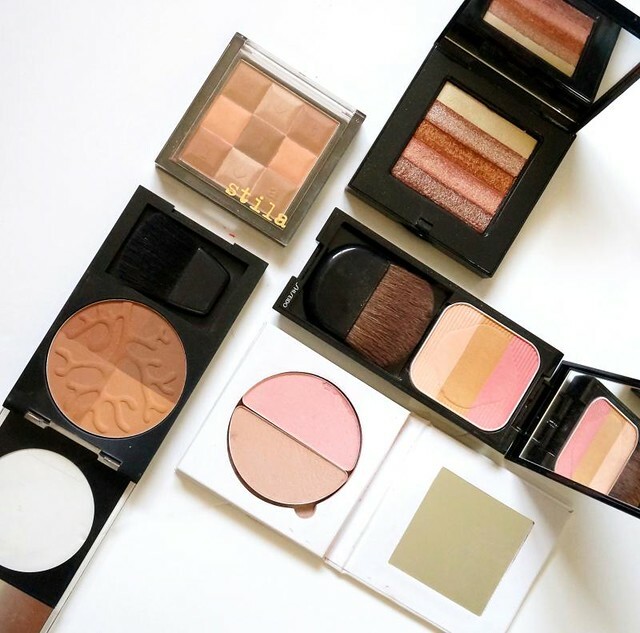 Do you need bronzers and highlighters in your life? Frankly, no. You'd look totally great without them. But if you want to take your skin to the next glowy level then yes, these skin-enhancing products would be a great addition to your kit! You need them if you feel like your foundation and setting powder are no longer enough to make your skin look amazing. Highlighters/illuminators help your skin look fresh by reflecting light off your face with ultra-fine shimmer. They are normally skin-toned, although some have a peachy or pink tint to them. Bronzers on the other hand are used to simulate the look of lightly tanned skin and are often used for contouring as well. Some are pink/peach-ish, which makes them fabulous blushes in their own right. 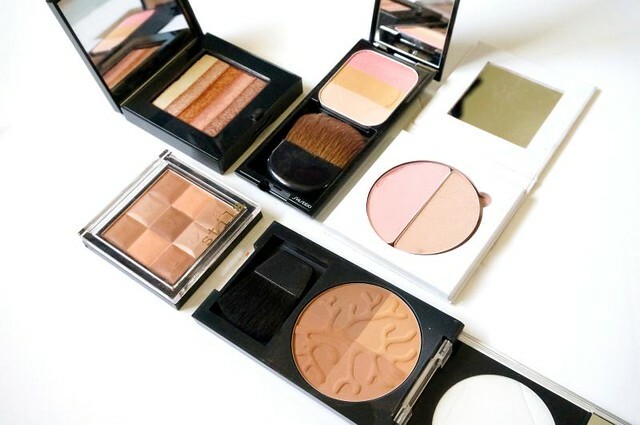 Bronzers are also a great way to bring some golden warmth to your face - that's really useful when you're looking pale and tired! 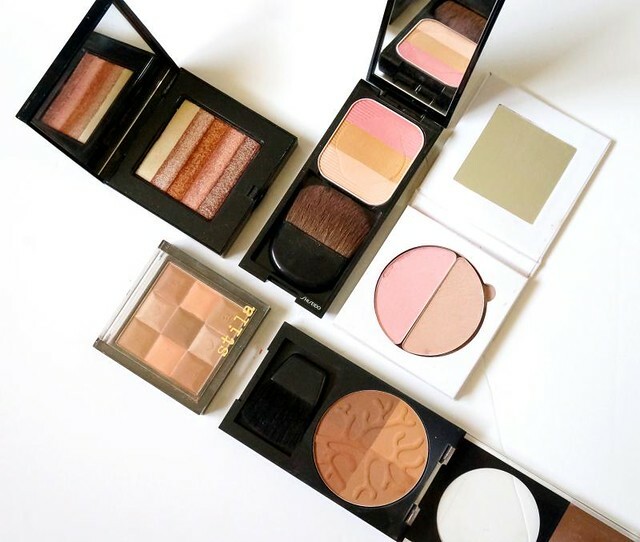 That said, I thought I'd show off some of my current favorite bronzers and highlighters. ^_^ I have five bronzers and three highlighters here that are perfect for Asian skin and can work with different budgets. Would love to know which ones you're looking to try! The Bobbi Brown Shimmer Brick Compact in Bronze is my favorite bronzer of all time. It's shimmery and a little scary yes, but it's actually not as bronze or shiny as it looks. It has enough to make my face look healthy and slightly contoured. It's quite expensive at over P2,000 but this lasts for years and years. The Revlon and Stila bronzers matte and therefore perfect for contouring. I think they're just in the P700-800 range so they're affordable, and the quality is pretty good! They last for about 5 hours on my combination skin. For blushing and bronzing at the same time, I love the new Shiseido Face Color Trio in RD1 and the Ellana Mineral Blush in Kitten. Shiseido's trio is kinda sheer but gives my skin a luminous, enhancing color. Ellana is very pigmented so I have to be careful with application, but the finish is absolutely gorgeous. The swatch doesn't do it justice as it looks like a peachy-bronze-gold in person. 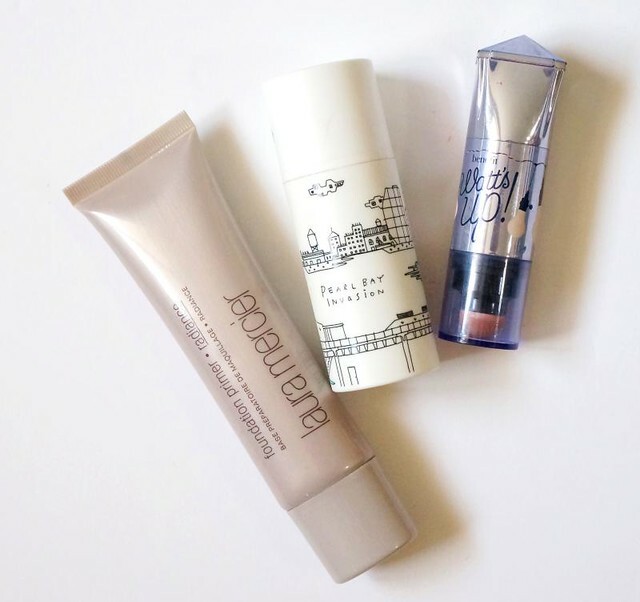 And here are the highlighters/illuminators I love the most: the Laura Mercier Foundation Primer in Radiance, the Too Cool For School Pearl Bay Invasion in Baby Clam Pink, and the Benefit Watt's Up! Highlighter. Swatches! The TCFS is a sheer pinkish golden liquid illuminator that can be used as a base or as a highlighter. The Laura Mercier Foundation Primer is primarily a moisturizing base for your makeup but it can also be used as a highlighter. The Benefit Watts Up! is a cream stick highlighter in this beautiful champagne shade. They look alike in the swatches I know, but they are vastly different when worn. If you ask me though, the best is the Laura Mercier primer as it can do a lot of things in one giant tube, vs TCFS and Benefit which have comparably narrow functions. Click the links for the reviews if you're curious. So there you have it. ^_^ Hope this convinced you to try bronzers and highlighters (if you haven't yet)!